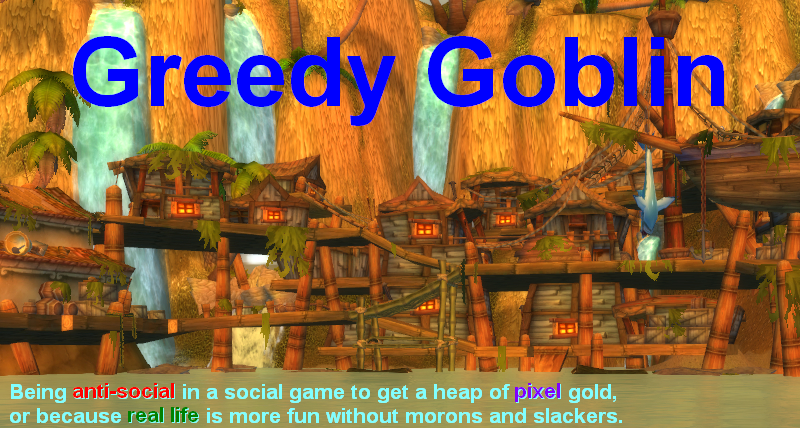 Greedy goblin: Breaking news: Endie is a troll! Breaking news: Endie is a troll! [22/11/2015 22:46:42] Dave / Xander: harat? [22/11/2015 22:47:36] Dave / Xander: oh wow, they bought membership by offering to pay TMC's ISK bill? Hause Aratus has 146 members, so they are 0.9% of Goonswarm. And they do 0.9% of GSF damage and 1.1% of GSF losses. Hogyoku has 262 members, so they are 1.6% of GSF and do 1.7% of the damage and 1.8% of the losses. Both Harat and Hogyoku are active, PvP corporations (as far as Goons go). On top of that, Harat arrived from CO2, so was already in Imperium. Considering that everyone can join Karamafleet and Section 8 is an announced inner renter system, it's irrational why would these corporations pay into the wallet of the Evil One. The Endie leak, the Sion tears and probably the tegiminis leak are a part of a huge troll and we ate it. OK, I didn't ate as hard as you, I already pointed out in todays normal post (finished yesterday, before I got the data) that none of the "leaks" contain anything new. What is the purpose of the troll? To reignite Goons! The fail of the Kickstarter proved that TMC cannot be positioned into a widely accepted news site. So they choose to reposition it into an open Goon propaganda site (who suggested that I wonder) and restart the Kickstarter only for Goons with "kickstart this book to make pubbies mad". The purpose of the trolls is to make everyone go GRR Goon, so the line Imperium members see "everyone hate us, we are in a besieged castle, we must stick together". And it worked. There was a moment when the top 10 r/eve posts literally had "Grr Goons" tag. Finally, the RMT accusations are part of the "CCP is our dog" propaganda, started by Sion. Since CCP will obviously not ban anyone for the non-existent Harat RMT, reddit will go "GRR CCP" (see current top post), which demotivate people from fighting Goons and makes CCP resent Grr Goons (that's also already happening). This is where you should be instead of (or rather while) posting! Reddit thread about this is available. "TMC cannot be positioned into a widely accepted news site. So they choose to reposition it into an open Goon propaganda site and restart the Kickstarter only for Goons with "kickstart this book to make pubbies mad"
Nah... If this would work and they could fund the book with 150k$ with CFC members alone they would be geniuses, but I dont think they are. Endie's leak was obviously fake, at least many people claimed it, of course they got downvoted, so the most voiced opinion was "omg rmt". Still I dont think it was a part of the divine plan to restart the book. Maybe Goon members. My only question did Xander cooperated in this or he just took Endie's bait? Not that it matters much either of them is a shame for Xander and CZ. Xander was also a target, the original plan was probably to make him post on Zebra to harm its validity. He just failed instead and put it to pastebin. Goons have for some time been sifting quality corps from their partners in The Imperium. For example Zebra Corp, the best pvp corp in The Bastion when I was there, is now in Goonswarm. It doesn't make sense to look at kill performance after these corps were recruited into Goonswarm since that would not have been the criteria used. Esildra chose at this time to part from his corp and make his new corp in Goons which has subsequently done very well. My research tends to corroborate your opinion that Endie is playing us, neither of these corps would have needed to pay their way in. Might want to check your numbers on the last table. MOA has a better than 24 percent efficiency. All goons want is for people to keep talking about them forever, ensuring they stay relevant. Their biggest threat is having nobody noticing or mentioning their existence. People played right into their hands on this one. @Rob: Your mom forgot to tell you that the World don't disappear if you close your eyes. You know, I still can't believe that the Goons call their Rental Alliance "Section 8". "Your mom forgot to tell you that the World don't disappear if you close your eyes." The point is though that the more publicity we give them, the stronger they get. It doesn't matter if people are hating them or loving them, any talk about them helps them. Why is Endie still in Goons and not kicked out? While Endie is not the CEO, GSF leadership may not want to piss off its top PvP corp at this time. You said it yourself, the numbers don't lie. Oh, and I think Endie's differences with Goon leadership are real, which is why I always considered the possibility of the conversation between him and Xander actually occurring as high. I just don't know how much is truthful. The thing about Harat & Hogyoku being a surprising admission into GSF is something I still don't have a handle on, although your numbers do lead to some conclusions. And as for the pastebin leak? That's Xander for you. I bet Endie wasn't expecting that. I think he was just trying to influence future coverage on Crossing Zebras. ", any website with ads (including CZ, EN24, and this one),"
Which website do you mean with 'this one'? Is it your blog and I just never saw any ads because of my ad blocker? "and restart the Kickstarter only for Goons with "kickstart this book to make pubbies mad"." This is possibly the worst thing TMC can do, not only will it alienate the vast majority of eve players it would alienate a significant percentage of new people to the game as well meaning vastly less sales of the book, it would also damage relationships further not to mention it would permanently damage relationships between TMC and CCP even to the point where they would likely pull their permission to use the IP thus cancelling the entire project anyway. I honestly can't see any sane person even entertaining the thought. You should label your last table- I came to the comments also looking to understand the data I was reading.